Challenge. 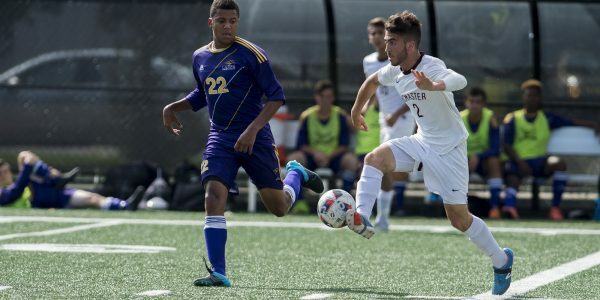 That’s just another word in the dictionary for McMaster men’s soccer team’s Carlo DiFeo, as he has proven on numerous occasions throughout his soccer career that overcoming challenges is exactly what it takes to achieve greatness. Although most things come naturally for DiFeo on the pitch, he has never been one to shy away from competition and continues to train every day to make his dream of becoming a professional soccer player a reality. “Saltfleet’s in my blood,” said DiFeo when asked about his younger playing days. DiFeo started his soccer career playing for his hometown team, the Saltfleet Strikers, where his father managed and coached him until he was 14 years old. Aldo DiFeo played an important role in his son’s development, always striving to teach Carlo that soccer is more than just a game and that the little things are what make playing worth it. Aldo used his ability to communicate and his high soccer IQ to help shape Carlo into the player and man he is today, on and off the field. Aldo had to sacrifice his own personal time to help Carlo continue down a successful path, never once complaining about the hours spent developing game plans and training techniques to help both his son and every player he coached. Not to mention the countless hours spent behind the wheel, all of this did not go unnoticed by the young McMaster star. DiFeo’s resilience is what separates him from his peers and what gives him the edge in competitions. He will never be the strongest guy on the pitch or the tallest, but DiFeo has an incredible skill set and an understanding of the game which is unlike no other. This put him on McMaster’s radar at an early age, where DiFeo was looked at as a potential good fit for the program. Unfortunately for Mac, he decided to stay back for a fifth year of high school where he continued to train with the Ontario provincial team. DiFeo has had the opportunity to travel the world and play in different countries throughout Europe with the team, giving him a better look at what international soccer was going to be like. DiFeo has a knack for finishing what he starts, and his loyalty to the game and his team is a big part of what makes him so successful today. 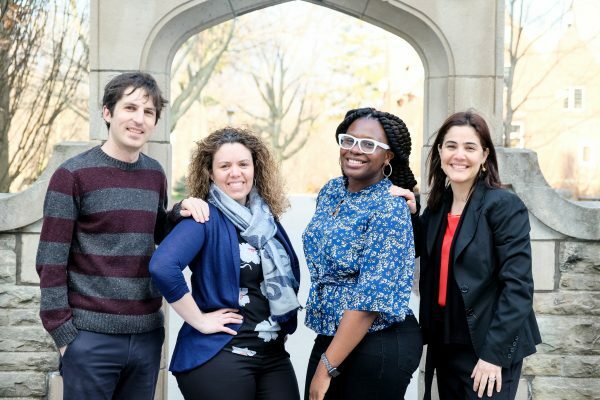 His decision to stay back another year to develop ultimately benefited him and McMaster by the time DiFeo chose to join the team. Using his skillset to his advantage, DiFeo always could escape danger by not putting himself in it, which is a lot easier said than done. He is not shy to admit he’s been battling such adversities since he first put on the boots. DiFeo’s most recent challenge came in the form of a position change. He has played most of his life in the number 10 role, an attacking midfielder, and most recently changed to a right fullback. DiFeo was given a responsibility on the pitch that differed greatly from his usual spot as coach Perri decided to move DiFeo to the fullback role. 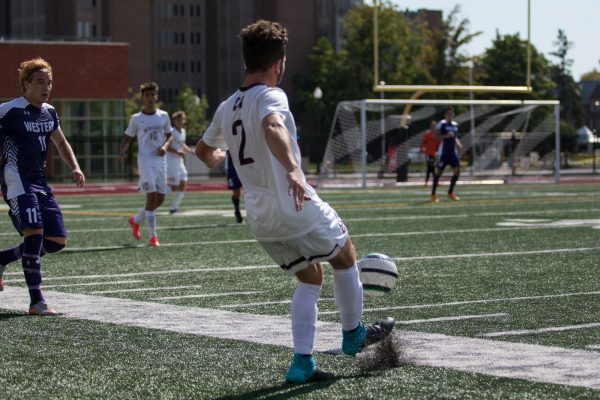 The move came as a pleasant surprise for both DiFeo and the McMaster soccer team as he continued to be the most effective player on the pitch. This opened new avenues for DiFeo outside of McMaster, as he now has found himself a starting role on the Oakville Blue Devils, a successful team in League 1 Ontario. The position change has allowed DiFeo to become more versatile in attack, giving his coaches a different weapon to use. This has helped him become a regular starter for Oakville which included starting in important matches such as the Canadian Championship final and a match against Frosinone, a top team in Italy. DiFeo consistently deals with any piece of adversity thrown his way and will continue to strive in the right direction to get to his final goal. 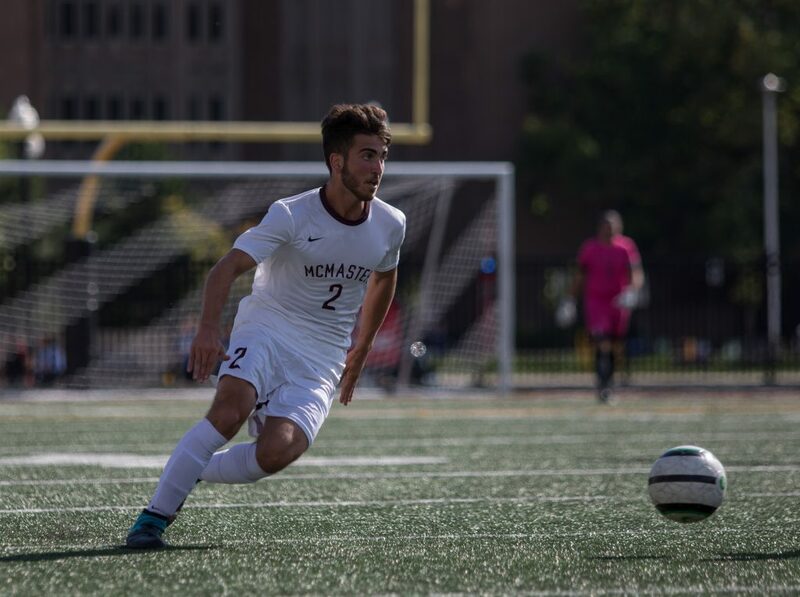 With an excellent support system behind him, and a strong soccer program at McMaster, DiFeo is well on his way to a long and successful soccer career.